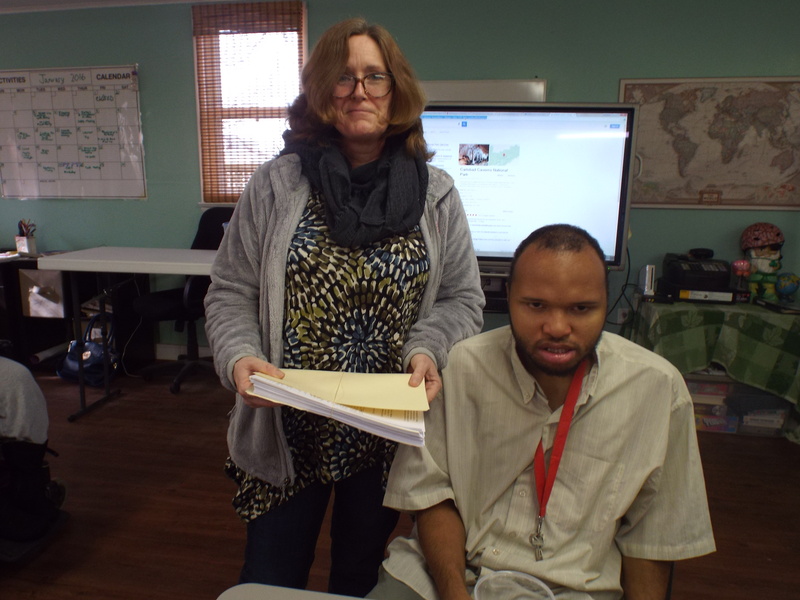 DJ is stunned by the size of the United Way grant that Rachel had to complete. Thank you so much to the United Way for helping us to fund our exercise program! 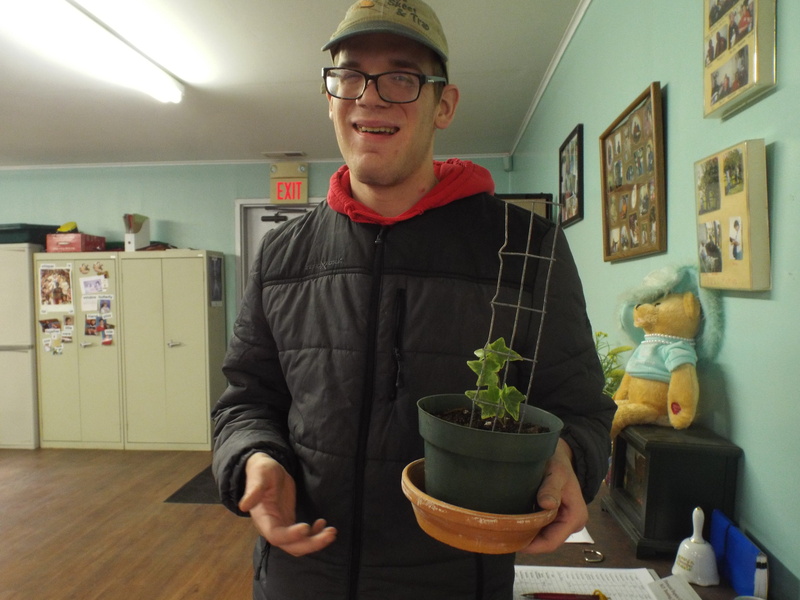 Brandon posing with his new ivy plant given to him by the nice lady who works at Bayside Rehab. in Parksley. Old friends meet again! 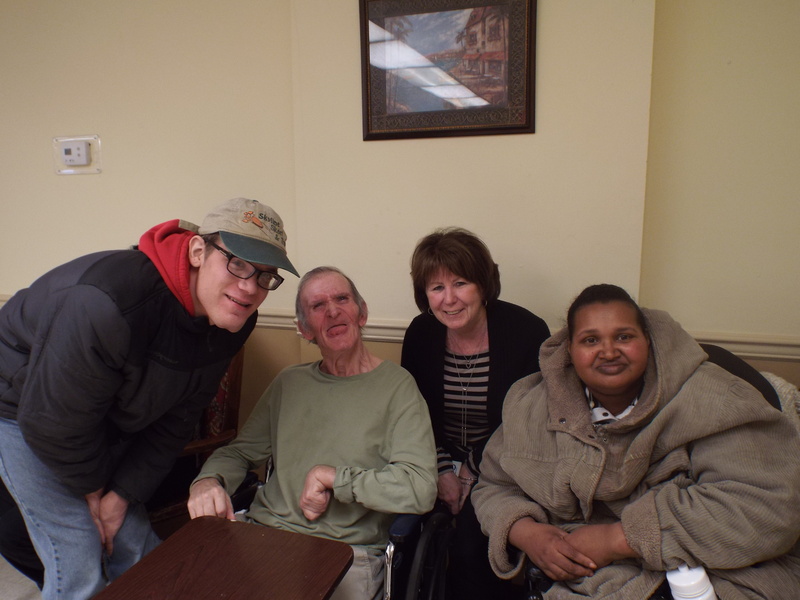 It was so exciting for us to see Jackie and we hope to see him again soon. 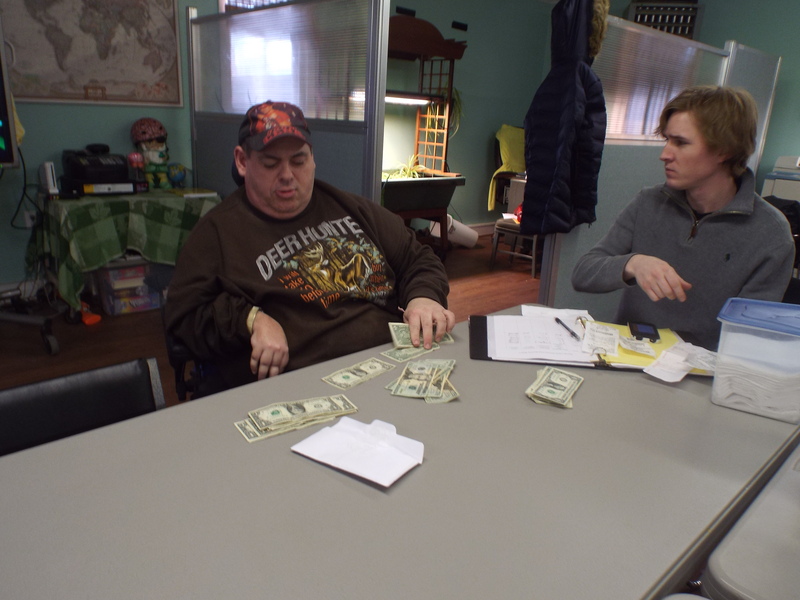 Matt, our Treasurer, working with Kyle to count the money in our Activity Fund to make sure it’s all correct. What a nice looking cake! Happy birthday Zel. We can’t wait to eat your birthday cake again next year! David and Maryann making a cake for Zel’s birthday! 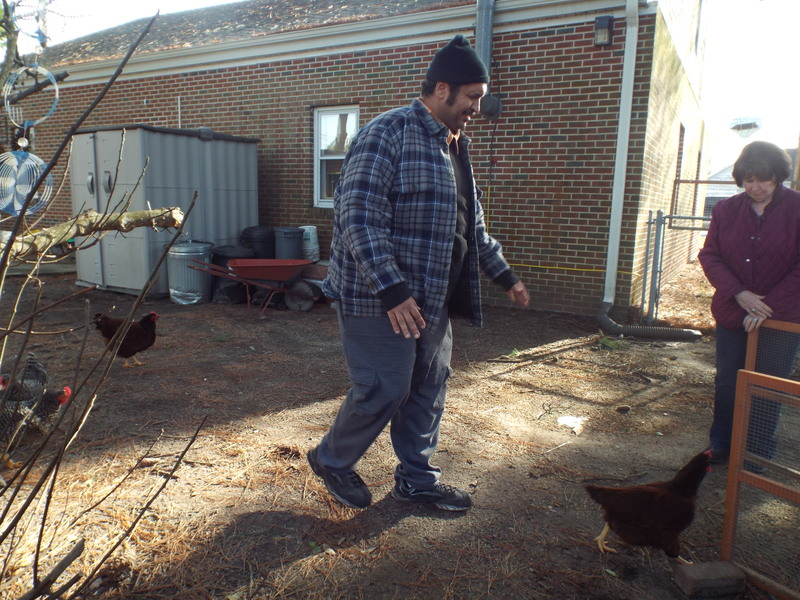 Zel “tucking” the chickens in – making sure they’re safe and sound for the night. Thank you, thank you, thank you Andre! Thank you for volunteering to sweep! Our chickens braving the cold weather. We hope everyone stays safe this weekend in the snow! Brandon and David making biscuits for the doggies at Animal Control! Welcome back CL! Thanks for helpin’ make the biscuits. Work on my peeps, get those safety notebooks ready. 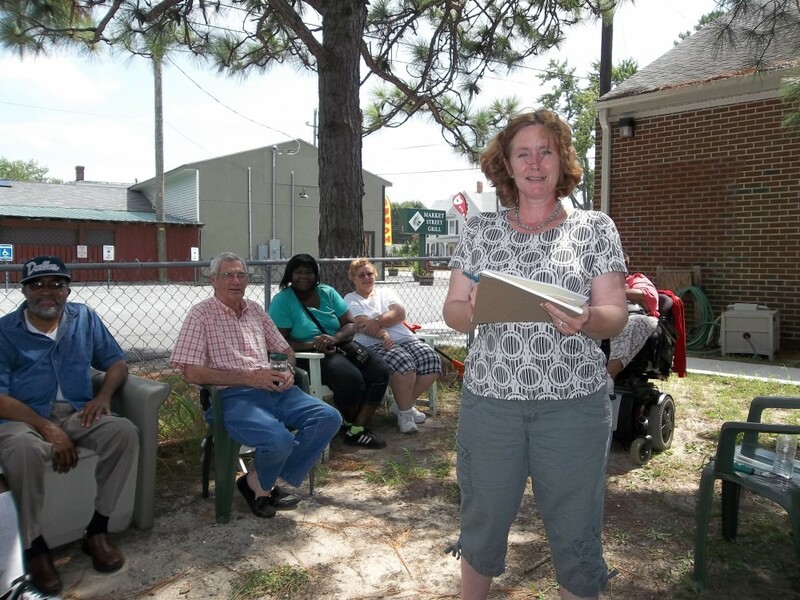 Amy says “Come on men y’all can do it!” Great job healthy meal planning for our monthly Health Advocacy Lesson. Our Moses In a Basket plant bloomed! So pretty! Count on my men. Count that weekly financial report. Jill and DJ working on a Qi Gong video while waiting for Betsy. Keep it up DJ and Jill and thank you for the video Betsy! Cake on Matt! And happy birthday! Birthday week! 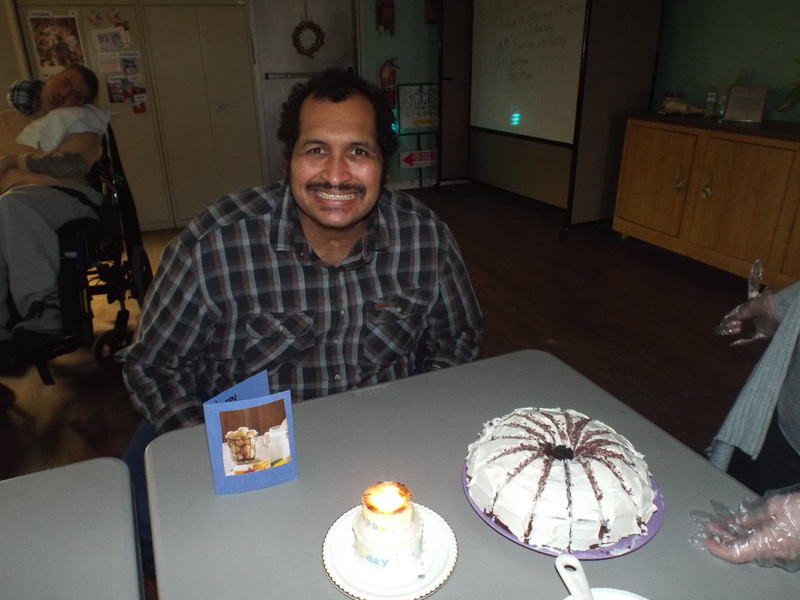 We celebrated Maryann’s birthday as well. Happy happy birthday Maryann! Hey what ya doing twins?! Nice matching! Hey we’re in a bakery! 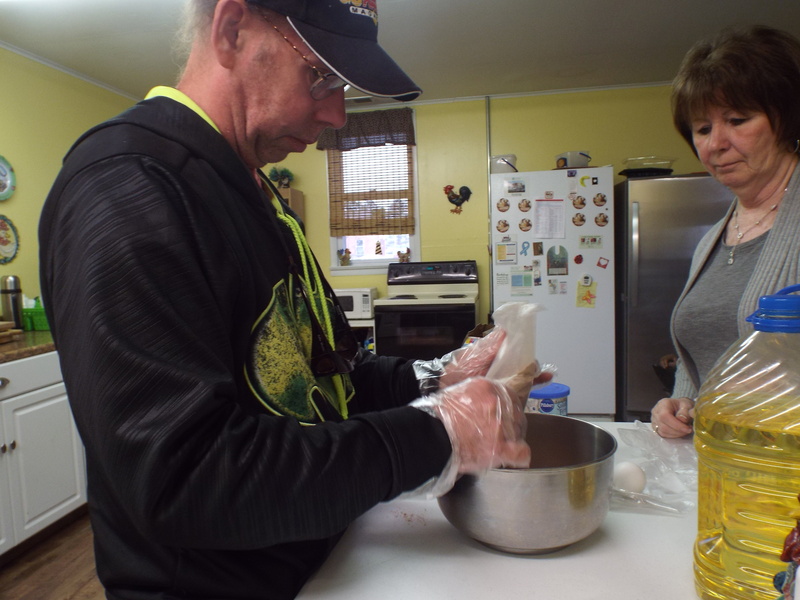 The No Limits bakery with Chef David. Why are you so confused Emma? The paramedics are here! Just kidding! Adrian and Zel are making sure the First Aid Kit is good to go.